This is a game between two teams who are in a very different mind-set at the moment. The hosts have lost 8 games in a row while the guests come into this one on the back of a win against Real Madrid and knowing that they are in a strong position for the playoffs. They also know that they defeated the home side 86-77 when the two teams clashed earlier on in the group. Zoran Erceg has bene in excellent form for the Turkish side, offering up an average of 15.2 points per game this campaign and he will be a crucial player if Galatasaray are going to achieve success this campaign. Patric Young has also been a key player for the home side, providing an average of 6.5 rebounds per game this season. There has also been support from Carlos Arroyo who has offered an average of 4.3 assists per game this season for the home team. AJ Slaughter has been a key player for the Greek side this season, offering up an average of 10.6 points per game. Esteban Batista has been in fine form, providing an average of 6.2 rebounds over the campaign for the away side. There has also been the strong form of former Euroleague MVP Dimitris Diamantidis, who has provided an average of 5.9 assists per game this season. 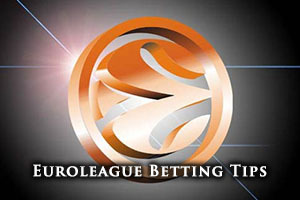 The home side currently have a 6-15 record in the Euroleague this season which contains a 4-6 record from the regular season and a 2-9 record in the Top 16. The Turkish side have been on an abysmal run of form of late and this game could be another terrible night for their fans to endure. 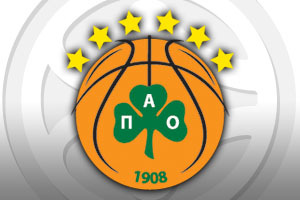 Panathinaikos have an 11-10 record, which includes a 5-5 record in the regular season and a 6-5 record in the Top 16. There is a bit of momentum around the away side at the moment which could be enough to see them grab a great win in this game. With respect to average points, the Turkish side has the edge with a 76.4 record compared to a 76.0 record. Galatasaray are currently in 5th place in the Turkish league with a 13-10 record, so they are having a poor season domestically as well as in Europe. Their more recent game in the Turkish league was a 76-80 home defeat to Turk Telekom BK. Panathinaikos are currently in second place in the Greek league with a 19-3 record, one place behind Olympiacos with a 20-1 record. Their most recent domestic game was a 79-64 home win against Koroivos. The bookmakers think that the away team is the clear favourite for this one, which is a fair assumption to make, and you will find attractive odds of 1.90 for Panthiniakos at -8.5. For the Over/under market, going OVER 151.5, again at odds of 1.90, is likely to be a decent bet for this Friday night game. Bet Now!